Body building has been known for years as a means to increase the muscle power but we have to understand the fact that it is also about mental and health effects. There are many health and mental benefits of body building which debunks the myth that ‘people with big muscles have small brains’. 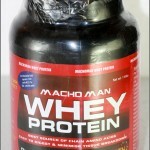 Whey protein is a component of milk and is isolated from a liquid by-product of cheese production. It is used for both improving muscle growth and for better strength. Whey protein is a mixture of alpha (α)-lactalbumin, beta (β)-lacto globulin, immunoglobulin and bovine serum albumin. It contains all the important amino acids and is an alternative to milk. Research on whey protein states that it is useful for treatments of diabetes, heart disease, reduces blood pressure, prevents nutrient deficiencies and also has anti-cancer properties. Powder per day, moderately active lifestyle about 15 grams and active life style about 25 grams per day, added with day-to-day training and exercise. Whey protein supplements are mainly used for bodybuilding to enhance the muscle size, joint health and fat loss and training performance. It is highly preferred as it is easily absorbed by the human body and has higher biological value. Apart from body building, it is also useful in speedy recovery from sports injuries, for growing teenagers, weight loss, and pregnant ladies and also for elder people for a balanced diet. It can be consumed with water, milk shakes, smoothies, milk and fruit juices without having an after taste. Different lifestyles demand different intake of the protein amount, for example, a lesser active life style consumes about 10 grams of protein. 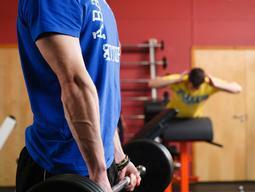 Bodybuilding along with weight training helps you manage osteoporosis and arthritis. How it helps your Mind? Reduces anxiety and depression which will in turn help in self-esteem and confidence. Concluding that body building has an effect on mind will not complete the whole story. Motivate the Mind and the body follows. Continuously motivating yourself is the key to achieve the perfect body you want. In the process of motivation the biggest enemy which can often hinder might be “EXCUSE”. If you can overcome this enemy, then a perfect body is not far away. The above equation looks good but there is something missing, something which can speed up the process and save you that extra time and effort. Something important that can give you that perfect body which you dream of. So let’s tweak the above equation and include the “important ingredient”. Previous PostBe careful in choosing DIAPERS….! Next PostWhy Should You Not Resist Chocolates? 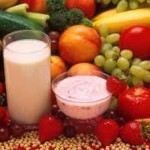 Impressive blog on how to be healthy. good infomation akshaya. Enlighten us with more knowledge. can you please write something on foot too.